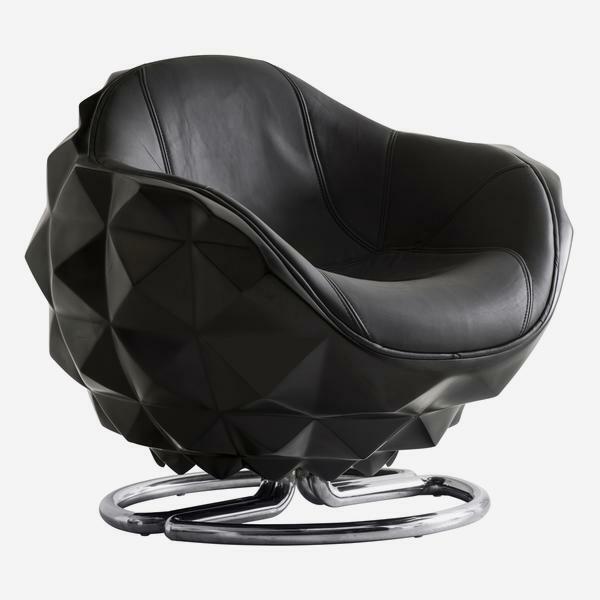 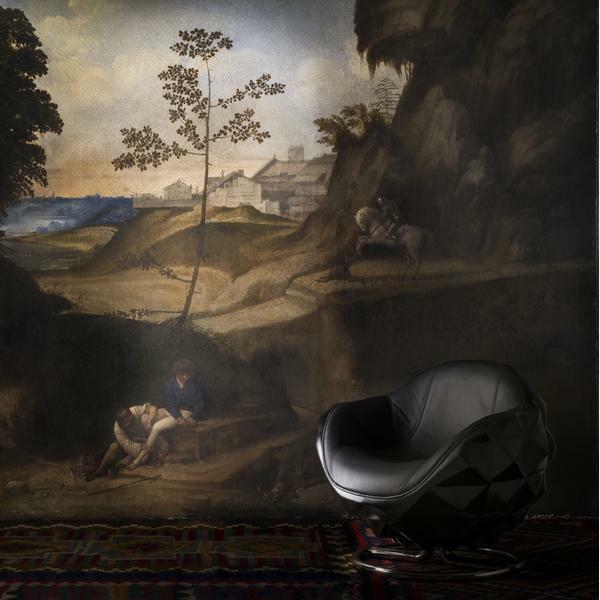 A futuristic take on a deep sea marine mine, transformed into a relaxing swivel chair. 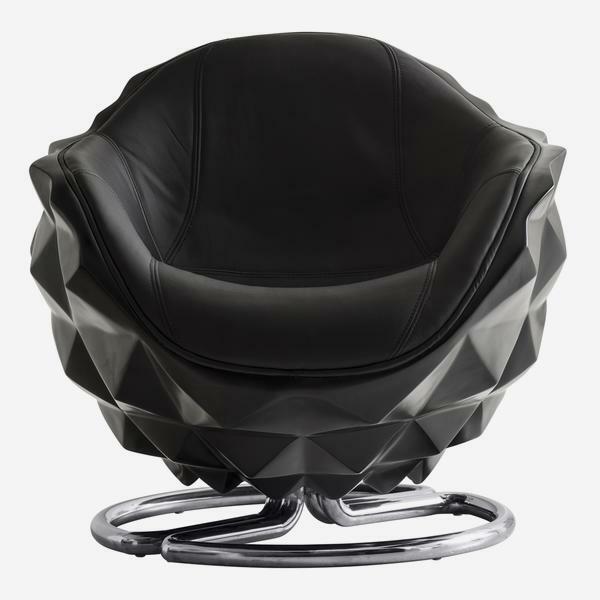 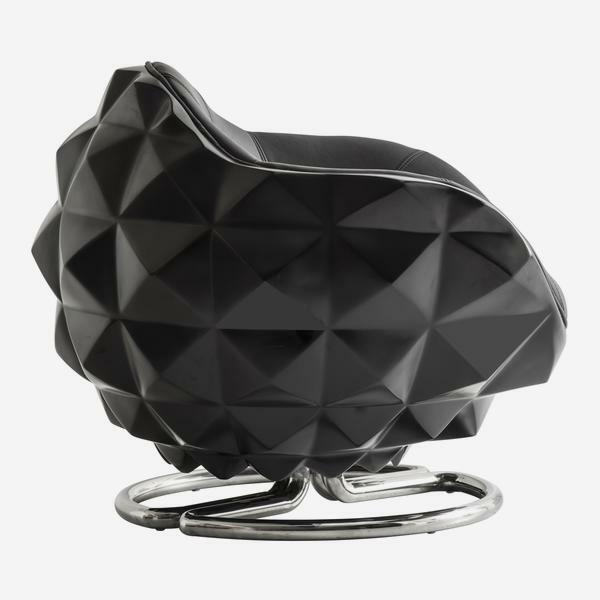 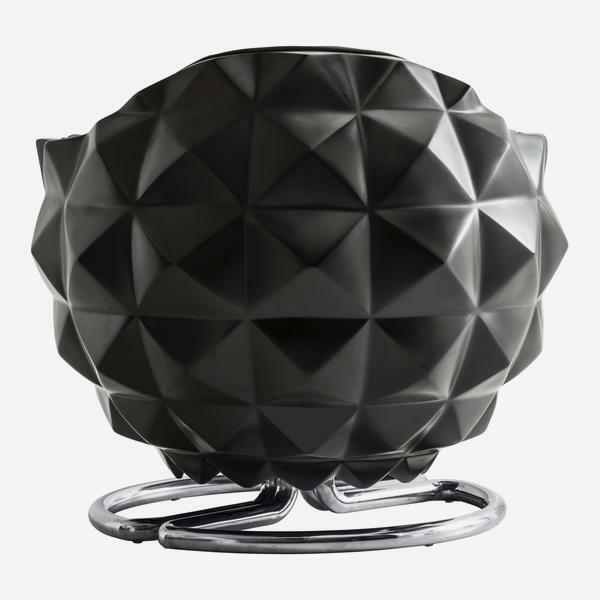 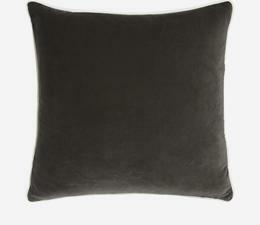 Made from black lacquer with a black top grain leather seat and circular polished steel base. 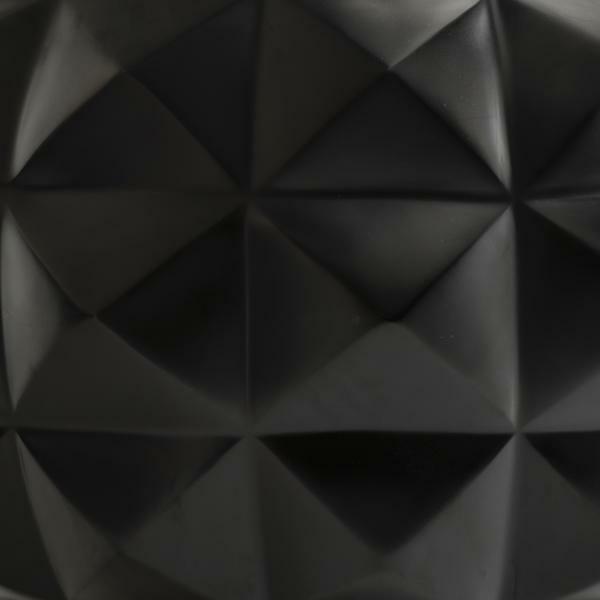 Masculine and sculptural, Atom is as fashionable as a pair of studded Louboutin trainers.